Take one look at the craps table and youd be forgiven for thinking it is one of the most complicated casino games available. But once you have researched and understood the rules of craps, it becomes a much easier game to master. Like many casino games, the origin of craps is believed to be from centuries ago. 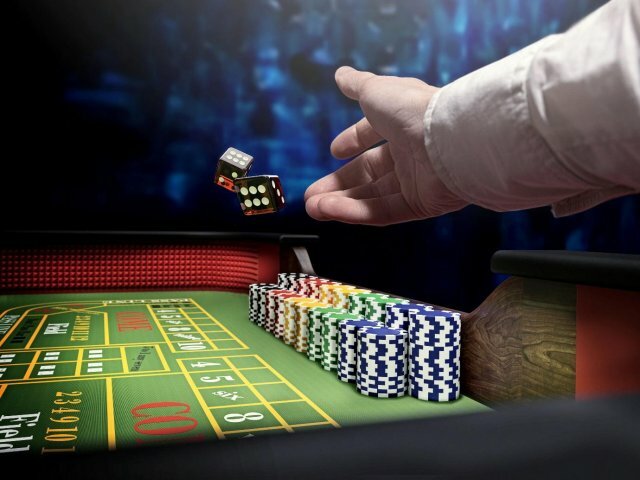 As the game has progressed, many different people have altered the name and the rules of craps in order to evolve it into the game we know and play today. There have also been several players who have played the game and broken records when doing so. If you think you could be the next record-breaking craps player, then you should check out https://casino.paddypower.com. Although its arguably most popular in the United States, it is believed to have originated across the Atlantic in England. During the Crusades in the 1100s, English noble Sir William of Tyre created the game of hazard, while the knights were waiting to attack castle Hazarth. Throughout the remainder of the Middle Ages, its popularity grew in England before eventually ending up in English gambling houses midway through the Early Modern Period. It was during the early 1700s that the game moved over to France and was renamed crabs, as this was the term given to the value of the lowest throw of the dice. Midway through the 18th century, it travelled over the Atlantic to the US. After losing Acadia to the English, the French were forced out and ended up in Louisiana, where it became referred to as crebs or creps. Other accounts suggest it was the English who brought the game with them to America, and chances are, both the French and English brought it over. Modern day craps is attributed to the African-Americans in the southern states, with several changes made to the original game of hazard to help make it simpler. Thanks to the river boats on the Mississippi, the game was able to spread throughout America. Craps isnt just won by those who have mastered it, and there are examples of people suffering from beginners luck. Take Patricia DeMauro for example, a woman who had only ever played craps once before, who went on to break the record for the highest number of consecutive rolls. Although Patricia never divulged how much she won on 23rd May 2009, what we do know is that she rolled the craps dice 154 times consecutively for 4 hours and 18 minutes, breaking the previous record. If it werent for her friend John Capra, DeMauro would never have played craps at the Borgata Hotel Casino & Spa in Atlantic City, and would never have broken the record. Prior to Patricias incredible win, Stanley Fujitake held the record for the longest consecutive craps rolls. In May 1989, Fujitake visited the craps table at the California Hotel and Casino in Las Vegas. His streak of 118 consecutive rolls over three hours was a new record and was the reason for the casino losing $1 million that night. Of course the greats of gambling folklore have all been attracted to the green baize of the dice table. Legendary Nick "The Greek" Dandolos and professional poker player Phil Ivey name but two. But perhaps the most famous is Archie Karas whose astonishing 2 year winning streak that became known as "The Run" involved big action at the Craps tables of Binion's Horseshoe in Las Vegas. Playing $300,000 come bets and $200,000 on 4 and 10 he managed to win every $5000 chip that Binion's had. At the peak of his run across all gambling he had turned a $10,000 loan into over $40 million at the expense of casinos and the world's top poker players.